As a first point, empowering local means enhancing and supporting local enterprises. In this particular case of the 16/6, we aimed to collaborate with small to medium sized groups of contractors in order to support, empower and help them build up their enterprises. 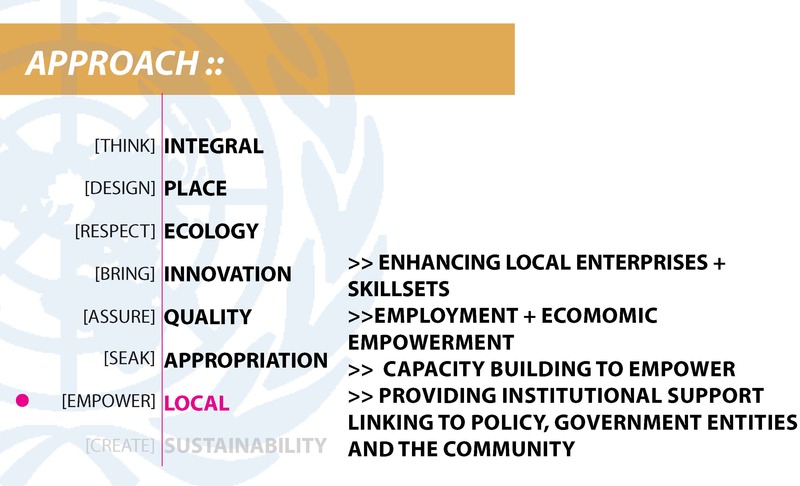 Thus, we aim to include the local private sector as much as possible, building capacity and transferring the necessary knowledge to enable more self-sustainable communities. Contingent on the latter, creating employment opportunities is an important aspect to keep in mind; thus hiring local and attempting to keep as much of the financing as possible as as a reinvestment within the community. 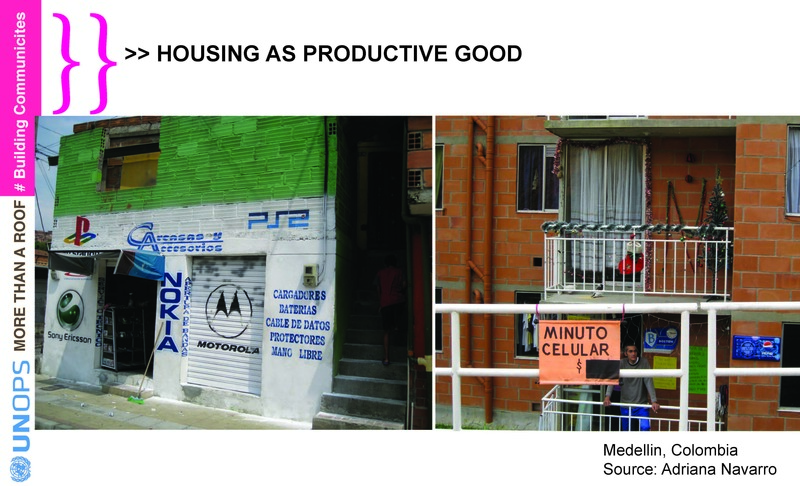 In terms of housing, it means understanding housing as a productive good. It is important to know that when dealing with social housing, many residents use their houses as a income generating tools; they will set up their shop, small commerce, etc. in their house. Based on this, design is an extremely important in order to accommodation mix-uses, commercial spaces, and a generating /productive infrastructure and systems. Piggy backing on the previous points, engaging and enhancing existing policies, and building on available skill sets and materials, the emphasis should go on replicability. In this respect, including aspects of gender equality are essential. In our projects over 40 percent of the workforce are women, and throughout the project, we worked with women focus groups in order to identify the places where they felt most vulnerable and insecure, and thus design strategies to lower violence. In this case, a major focus was placed on the design and the installation of public lighting. However, it is important to note that gender balance does and should not at a percentage of woman in the employed workforce, nor does it equal a single minded focus on women, excluding others… but this discussion required an entirely separate series of posts, which I will not dive into just yet. – Operational support: the cost and frequency should be considered from the conception of a project. EQUITY + INCLUSION: And overlaps with equity and inclusion in the access to housing and basic services. In this respect, when thinking of urban design and planning, we should engage in the design of networks in order to distribute the equal access to opportunities, instead of solely privileging a particular area. 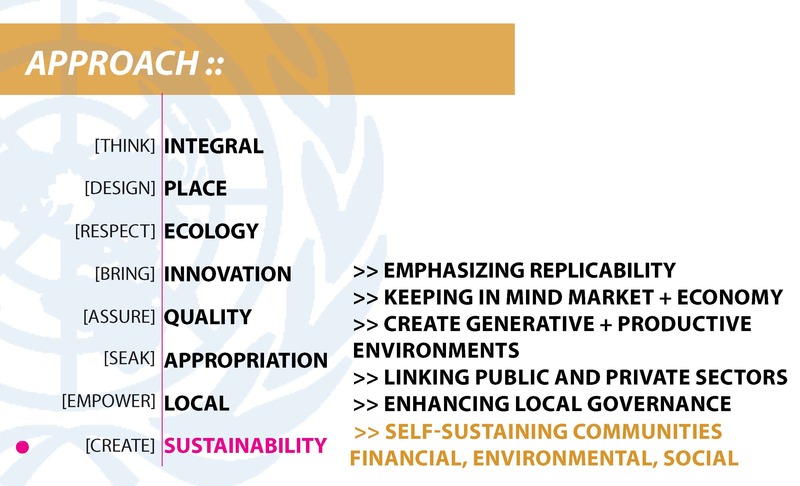 LINKING PUBLIC AND PRIVATE SECTORS FOR REPLICABILITY + SUSTAINABILITY : Highly (and fully) subsidized interventions- particularly regarding housing- disrupt existing markets. Thus, we should seek for more replicable and sustainable solutions that can integrate housing into a market economy, exploring options with both the public and private sector. The inclusion of the private sector and establishment micro-finance programs for housing are important aspects to think of. This does not necessarily mean entering in traditional micro-credit strategies- which many times are inaccessible to the a large percentage of the population due to the high interests and inflexible criteria- but it means about bringing alternatives so families can gather the necessary resources, as well as leveraging the necessary institutional changes to further mitigate risks and facilitate the participation of an otherwise unengaged private sector. With these principle, and some of the examples of the 16/6,the first and largest government lead housing reconstruction and urban rehabilitation project, in Haiti, I leave you and invite you to share your thoughts, comments and experiences through comments to this or any other post of the series.